Is Commercial or Homemade Pet Food Healthier? If you are a pet owner, you have probably been made aware of the recent pet food recalls. When you are feeding a commercially made food to your pet that was involved in one or more of the recalls, it can make many people think that the safest thing to do is to just make your own food for your pet. While this is a logical thought, is it really the right one for your pet and you? Making homemade pet food sounds easy enough, but to find a recipe that will include all the required nutrients for your pet can be harder than you think. After all, teams of scientist formulate recipes for commercial pet food to ensure the proper levels of vitamins and nutrients are met. Can we really achieve the same balanced nutrient rich foods at home? When a pet is fed a diet that is not the correct balance of proteins, fats, carbohydrates, vitamins, and minerals for their age, they are prone to health issues like being underweight, dandruff, dull coats, develop allergies, and in the more extreme cases, develop heart conditions. If you still prefer to make your pet’s food at home, we recommend showing the recipe to your veterinarian to get their opinion of the nutritional content, even if the recipe says that it contains the required nutrients, that is not always the case. 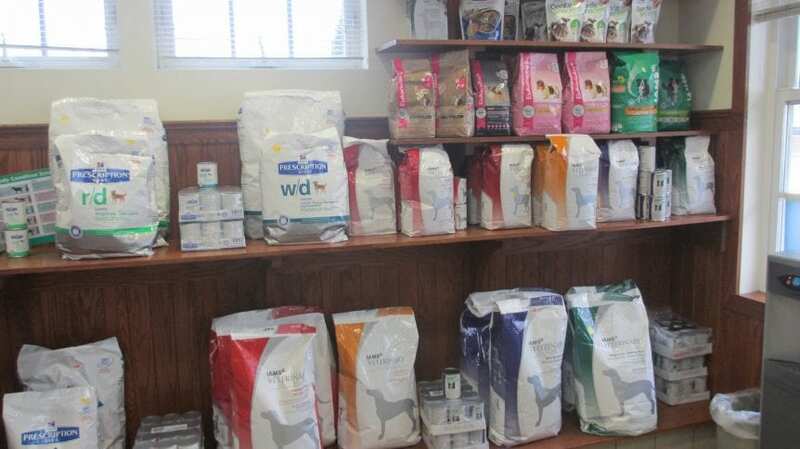 Commercially available pet food that is labeled “complete and balanced”, and meets the American Association of Feed Control Officials nutritional standards will ensure you are providing your pet with the best nutritional diet. We also recommend checking your commercial pet food on the “Withdrawals & Recalls” page on the U.S.D.A. website. If you see your pet’s brand, or the manufacturer’s name on this list, you may want to do a little more shopping for a different food. If you would like to review your pet’s food or homemade recipe with our Tysons Corner, VA veterinarian, give us a call today at 703-356-5000. We will gladly review and discuss the best options for your pet.